For a growing number of organizations video interviewing has proven to be a great differentiator and a way to enhance one’s recruitment process, hiring team’s collaboration, and build employer brand. According to Universum’s Employer Branding NOW 2018 report, video interviewing remains a top tech choice for companies in 2018. Two-thirds of the World’s Most Attractive Employers (WMAEs) are already using the technology. LinkedIn identified video interviews among the five major recruiting trends in 2018. While adoption of video interview technology is increasing overall, it’s interesting to know what candidates and recruiters really think about video interviews. Based on a rolling candidate survey since 2015 by RecRight and its pool of over 100,000 respondents, candidates truly embrace video interview in recruitment. 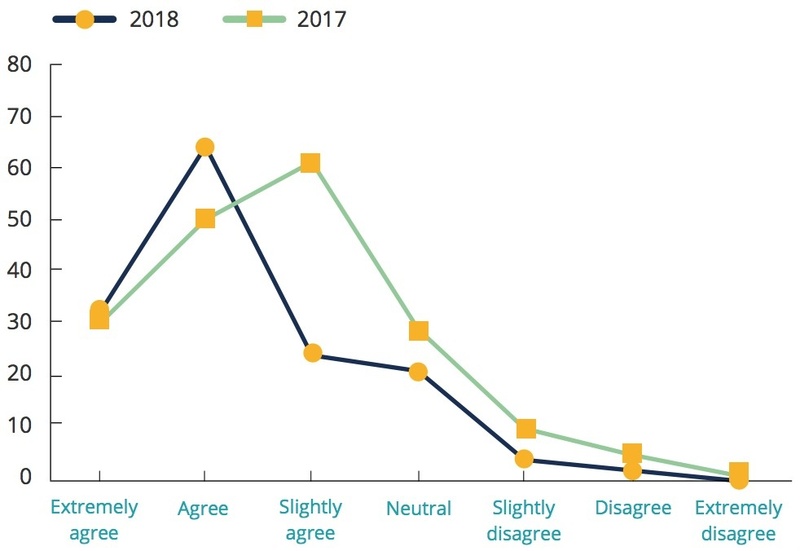 According to data from 2017 * candidates have a positive attitude towards the method. 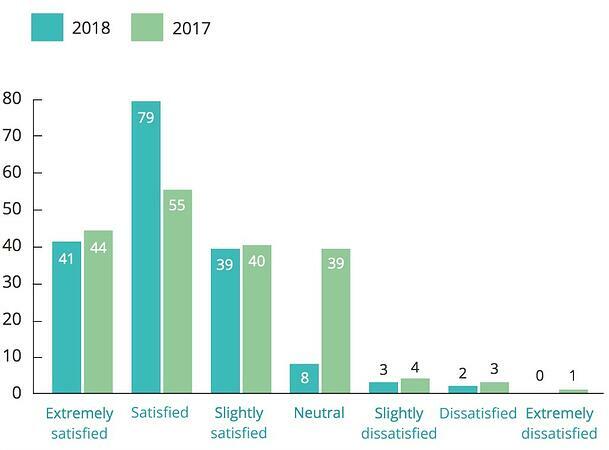 83% of candidates are very or somewhat satisfied with video interview as part of the recruitment process (see chart below). 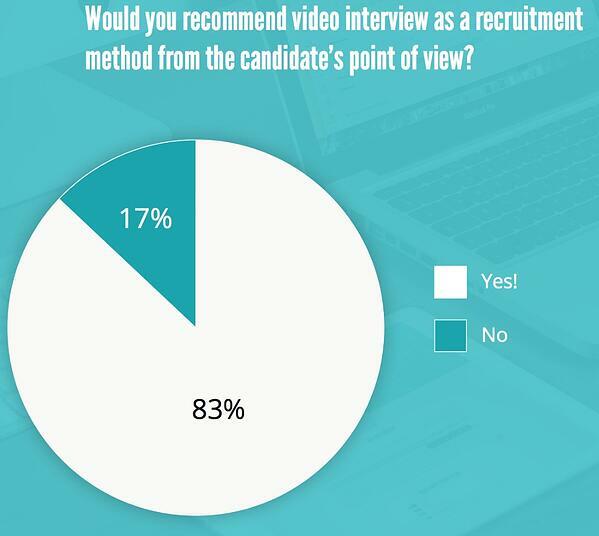 An equal percentage (83%) of candidates recommends video interview as a recruitment method (see chart below). Here is some analysis, from direct questions to candidates, on how much time it takes to answer a video interview and how many retakes candidates perform on average per video question. 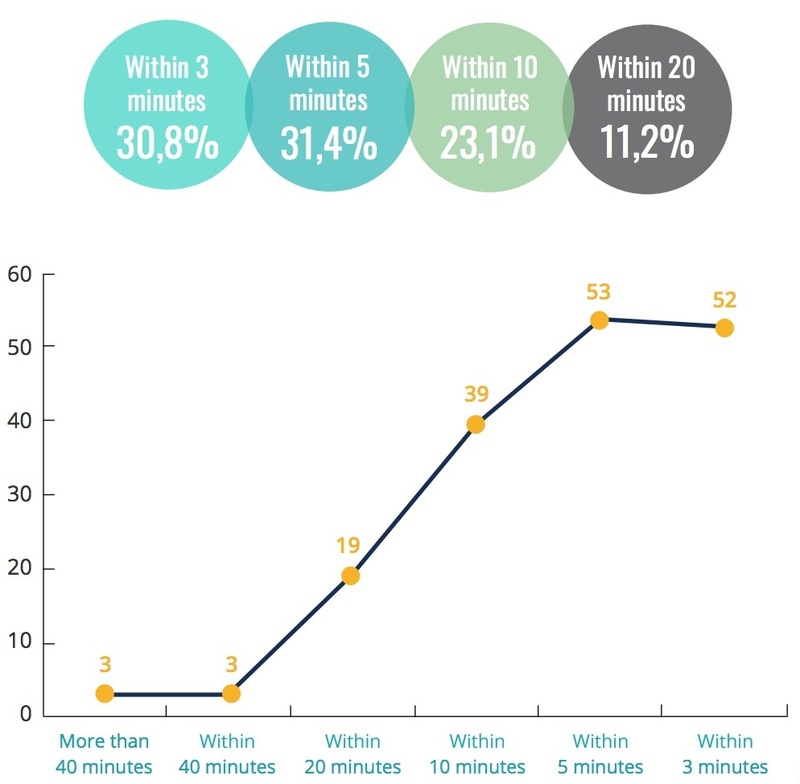 50% of candidates use less than 40 minutes to answer a video interview and 16% did it under 20 minutes (see chart below). 75% of candidates recorded less than 5 takes per video question and interestingly only 11% nailed it with one go (see chart below). The case for conducting early phase interviews from the candidates point of view is apparent. 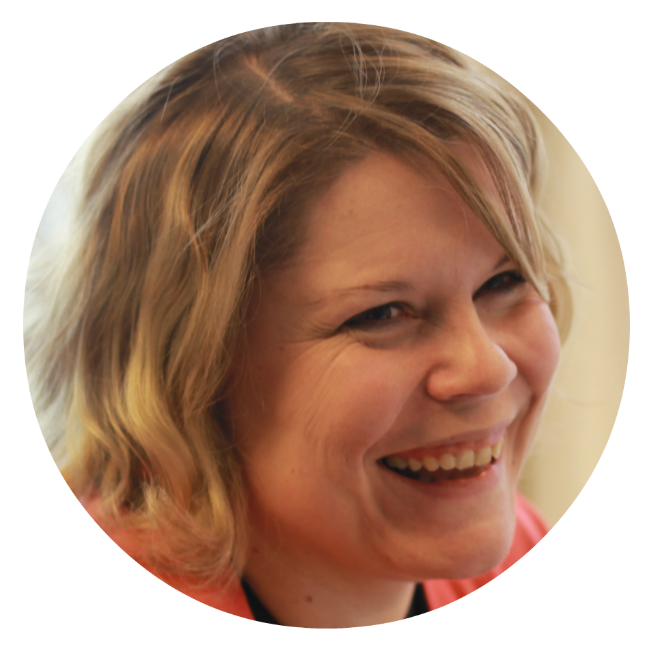 It’s equally important to analyse the results coming from recruiter’s point of view. 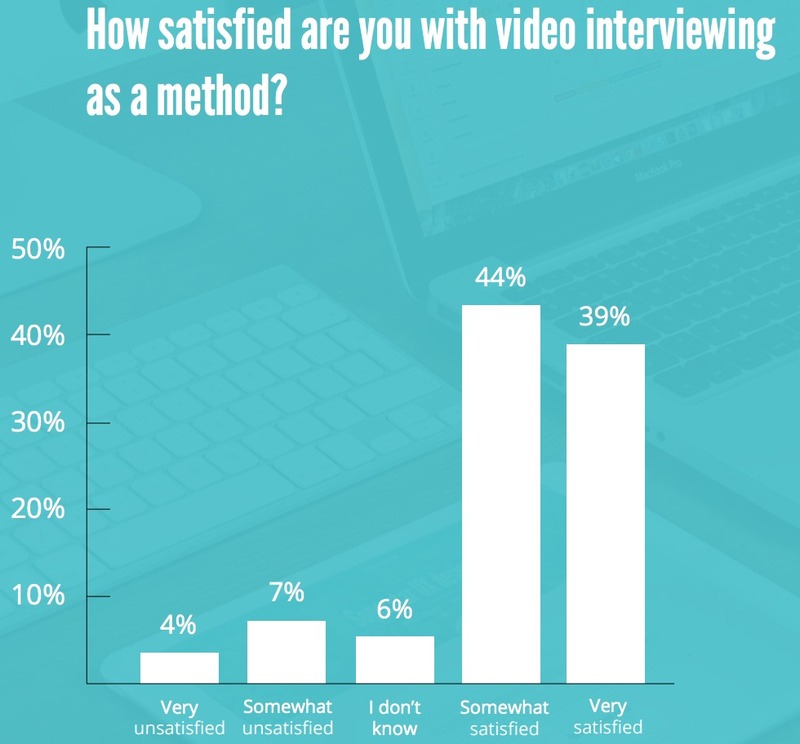 According to the most recent Recruiter Survey from the spring of 2018, 92,4% of recruiters who responded are satisfied with video interview as a recruitment method (see the chart below). 84% of recruiters said that using video interviews in recruitment improves their overall work performance (see the chart below). 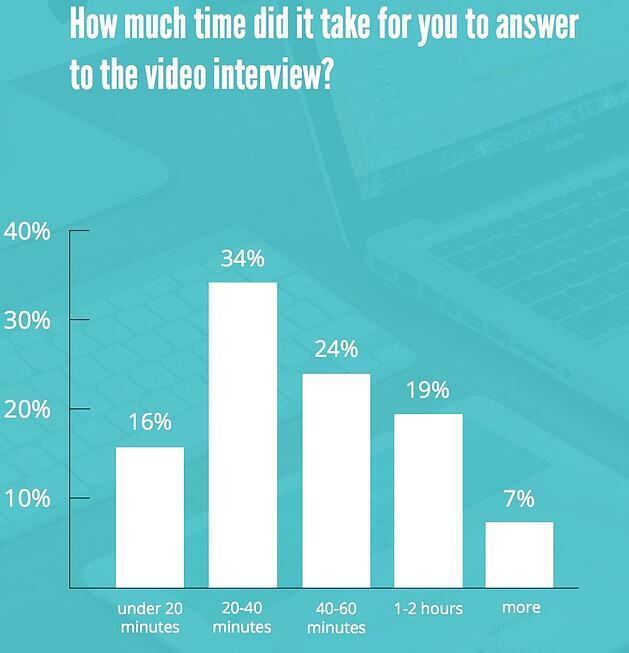 This is a clear indication on video interviewing being a true time saver. And as we all know, time is money. Some customers cited having gained a 55% time saving in one recruitment. Based on our survey data, we calculated that going through 15 candidates by phone takes about 7,5 hours (exclude scheduling) while by video interview, takes 45-75 minutes. 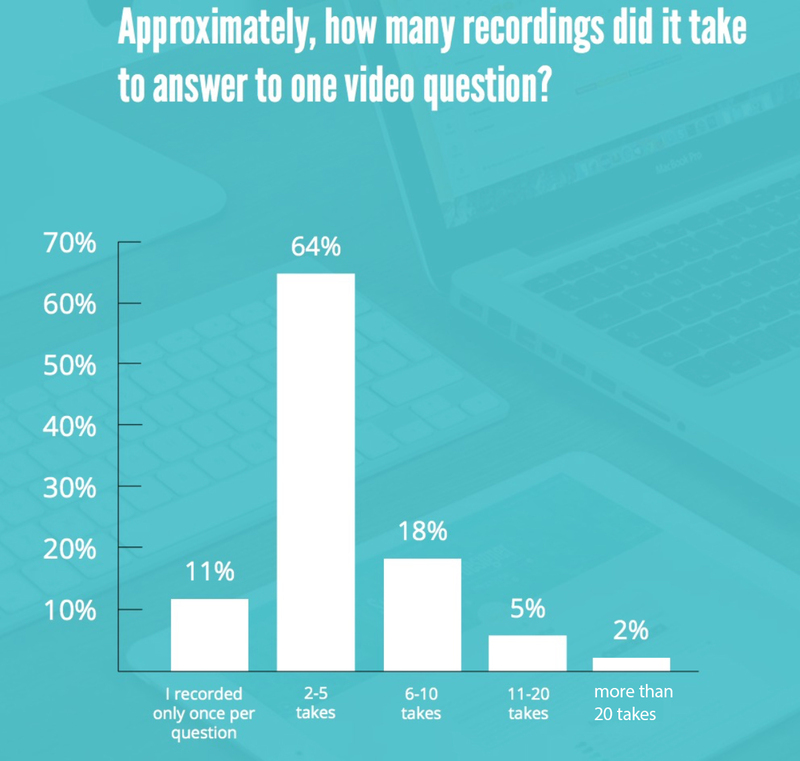 63% of recruiters spend 5 minutes or less recording one video question, 31% claim they spend less than 3 minutes recording a video interview question (see chart below). 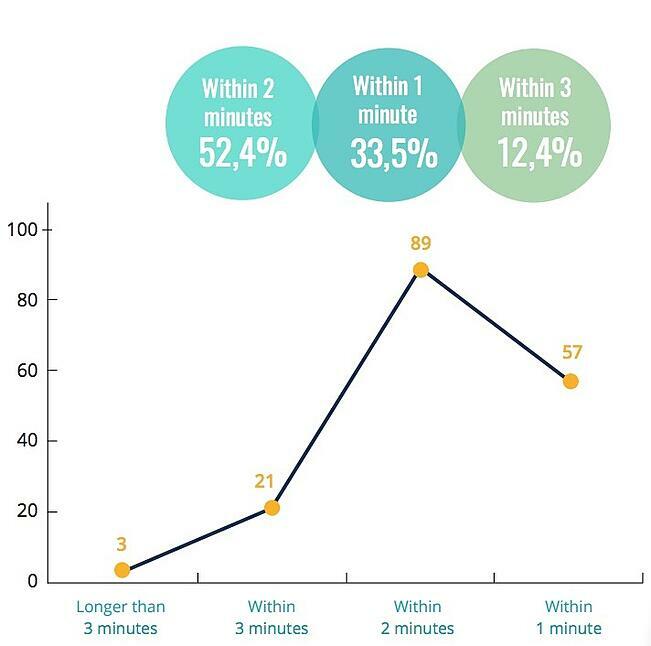 52% of recruiters say the optimal length of one video answer is maximum of 2 minutes (see chart below). Multiple use cases show that video interviewing as a recruitment tactic speeds up the screening process, and positive flow-on effects compound. Specifically, recruiters feel that on average the first 20 minutes of an interview is a repeat of a previous interview and by using video screening the duplication of questioning is eliminated. If you haven’t tested video interview in your recruitment yet, perhaps it’s time to give it a go. RecRight is an on demand video interviewing software and it’s really easy to get started in no time (thanks for not being forced to set up any apps). RecRight supports more than 15 languages, it’s GDPR compliant and Customer Support is always there for you in case you’d bump into any problems - also for the candidates. *Candidate Survey is sent to everyone invited and answered to a video interview. In 2017 there were 32,092 candidates responding. This post was co-created with Recruiting Brainfood. 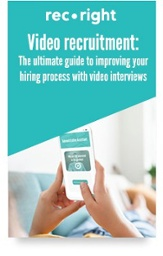 If you'd like to learn more about how to improve your recruitment process with video interviews, download our free ebook Video as a recruiting tool - or contact us and we'll walk you through the tool and the method itself. Happy recruiting!